Why would I need an energized work permit? Aiming to never do energized work is exactly the kind of attitude most companies should take when dealing with electrical safety. But it doesn't come without a significant challenge… sometimes it is impossible. Well, I guess it depends on what way you look at it but if you want your electrician’s diagnostic testing and troubleshooting to be successful and you want your plant to stay in operation for more than 30 minutes at a time, then I’m afraid what I said above is true. Impossible. Well, I still think you should hold on to that guiding principle that got you to this point (it’s still the way you want your electricians thinking 99% of the time) but you need to tweak it a little bit. You need to add some exceptions to the rule. You need an energized work permit and a clear definition of what it is for and how to use it. An energized work permit acts as a code of practice that shows you have taken extra precautions to avoid the dangers of electricity and most importantly you have proper justification and sign off for the work to be done energized. You’ve thought about it and there is no other way, this work needs to be completed before the next shutdown and there is no way to de-energize before then. Yes. The justification is the most important part of the permit. There are a few jobs that most people agree need to be completed energized and some others that can be completed energized if necessary, but outside of those jobs you really should be shutting things down. This article will take a closer look at the justifications for working on energized equipment and next time we will go over elements of an energized work permit. If it is possible to complete the task at hand while the equipment is de-energized, then you should do everything in your power to make sure it is de-energized while you do it. Some examples would be removing an MCC bucket, testing a fuse, or re-wiring a lighting panel. All these are tasks can be and should be completed when the equipment is de-energized. If the task is impossible without the power on… like taking a voltage measurement, or shooting an infrared image of the circuit parts, then you can consider that task “infeasible” and it is perfectly acceptable to do this work with the power on. Just make sure you are wearing the appropriate PPE and using the appropriate tools! The most controversial justification for energized work is work to be performed on circuits that form an integral part of a continuous process. Typically, the de-energizing the motor control center to work on one bucket, which will cause the entire process to go down. While on one hand, it is possible to de-energize the MCC on the other hand, you will quickly be out of business if you do that every time. This is a perfect example of when the energized work permit is required. Probably the best example to really drive this point home is working on life-support systems in a health care facility. Working on this equipment while energized certainly poses a threat to your health and you will need to take extra precautions to ensure you stay safe. When compared to removing the power to a person’s life-support system it is easy to see what is the greater risk. Fill out the permit and site that the greater risk is to those relying on the life-support system. 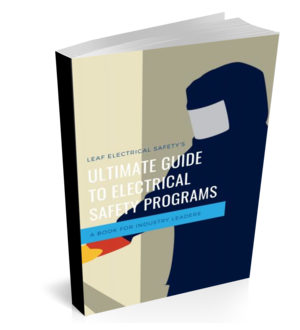 If you take the time to look at your electrical system and determine that those circuits that are operating at less than 50 volts have no arc flash potential then it is perfectly acceptable to work on those circuits while energized. Most of these will be control circuits and if you shut down the control then you will lose most of your process at the same time. One thing to be careful of is if the control transformer is located inside the panel you are working. Often the line side of this transformer is exposed and energized with 600 volts. Make sure to apply rubber guards before working on the control circuits. So that covers the justification portion of the energized work permit. Check in next time and we will go over the mechanics of the permit and each element that is required.